Gov. Brown failed to make the safety of vulnerable foster children a priority before a scathing audit, before an election year, and before there were only a few days left to get legislative approval for more funding. Kate Brown's call for more child welfare money is surprising. Here's why. Gov. 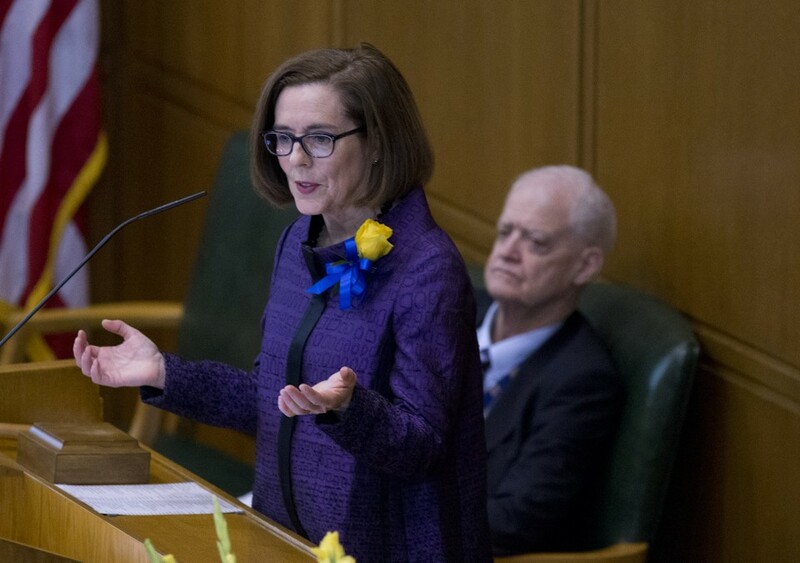 Kate Brown wants Oregon lawmakers to find $14.5 million in the next couple weeks to hire more child welfare caseworkers and other staff to help foster children and their families. Brown made the announcement three weeks after the Secretary of State’s office released an audit that documented extreme disorganization and mismanagement at the child welfare program, including high employee turnover and a failure to accurately calculate staffing needs. Auditors also found child welfare officials repeatedly abandoned reform efforts over the last decade, including improvements undertaken since Brown took office. The governor did not refer to the audit findings Thursday. After the child welfare audit was released, Brown’s communications director Chris Pair told the Salem Statesman-Journal that audits from the Secretary of State’s office, headed by Republican Dennis Richardson, “are just about politics.” State audit director Kip Memmott and former audit director Gary Blackmer, who was appointed by Brown when she was secretary of state, have pushed back against the allegation. Even if the governor succeeds in securing additional child welfare funding this session, it’s unclear the state could hire “nearly 200 staff immediately” as Brown’s administration promised in a press release. As of mid-February, the child welfare program had 141 vacant caseworker jobs it was working to fill, human services spokeswoman Andrea Cantu-Schomus wrote in an email. Brown wants to add 75 more caseworkers, 75 social workers to support them and 35 other managers and support staff. The state currently has approximately 1,300 caseworkers and 800 other employees in the child welfare program. The governor’s announcement on Thursday was a departure from the strategy advocated by Senate Democrats, who said earlier this month that they already boosted child welfare spending in the current budgetand the longstanding problems cannot be solved by money alone. Brown’s call for money to hire additional child welfare employees was also surprising because the Department of Human Services is still analyzing its staffing needs. Auditors found that officials drastically under-calculated their workforce needs for the current budget and asked lawmakers last year for roughly 300 more employees when they need closer to 770. Pakseresht, the new director, said last month that his staff was still getting a handle on staffing needs and might approach lawmakers with a funding request after this session. “Right now, I’d love more financial support but I just want to make sure we’re credible when we ask,” Pakseresht said. The state has also been losing foster parents who care for multiple children over longer periods of time, a critical part of the system. In his response to the audit findings, Pakseresht said he wants lawmakers to sign off during this session on creating a child care stipend to help working foster parents afford care for infants and children up to age 5.